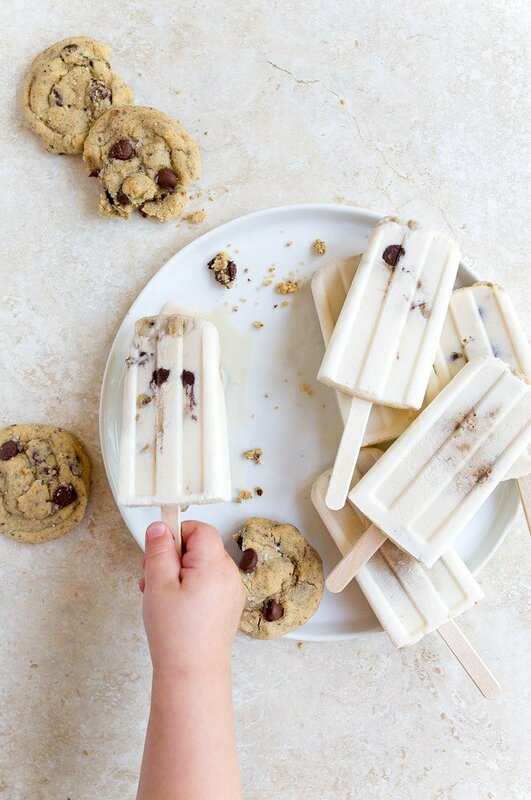 Milk and cookies popsicles. For kids and stressed-out adults. I’m in this stage of life right now called ‘kitchen renovation.’ It’s hell. Have you ever been here before? Everyday brings a new surprise (also known as a ‘set back’), and while I’m over here pulling my hair out and shaking my fists at the sky, Camille is just so happy to have contractors in her house to watch. Everything is so entertaining and exciting in her little eyes. She even has quite a thing for one of my contractors, and tells me that he’s building the kitchen just for her. (He also built a new hand rail on our deck, and every single time she goes down, she has to hold onto it and says ‘Mark built this for me’). Smitten, she is. So, when you realize how easy it is to put a smile on a kid’s face, it makes you wanna really blow her away, right? I mean, come on, kid: if you think tools are cool, have you ever seen a cookie inside of a popsicle?! Let Mama show you the way. Up to this point, I’ve only really made Camille healthier versions of cookies. I wrote a manifesto in my BABY FOOD section on how I feel about giving sugar to my kid, and many people said to chill out and give her the damn sugar. I just want to say that you guys were dead wrong about that one. Once you give a kid real sugar, they ask for it everyday. She found an open bag of chocolate chips in the pantry about 6 months ago…and for 6 months, I have fielded requests for chocolate chips multiple times a day. Seriously, if you’re a new Mama, just hold out until they’re 3 for sugar. You’ll thank me. That said, the cookie part of my milk and cookies popsicles can be anything you want! I used my recipe for healthy chocolate chip cookies (made with coconut oil, coconut sugar, and whole wheat flour). Other excellent contenders are these naturally-sweetened coconut sugar cookies. Or, my recipe for a small batch chocolate chip cookies. I even have some chocolate chip quinoa cookies if you’re feeling especially virtuous. The milk part of these milk and cookies popsicles is so dreamy: it’s milk with a splash of cream, sugar, vanilla and salt. I could drink it on its own. THIS is the exact popsicle mold I used. When I shared a preview photo of this recipe on instagram, I got so many questions about which mold I use. I love it! 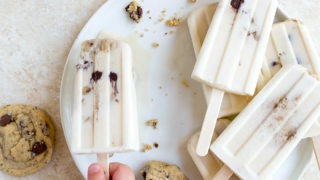 While I’m putting this recipe for milk and cookies popsicles in the kid food section of this blog, I just want to be transparent: my husband and I ate 4 out of 6 of these popsicles. Kid food/ stressed-out adult food for the win. 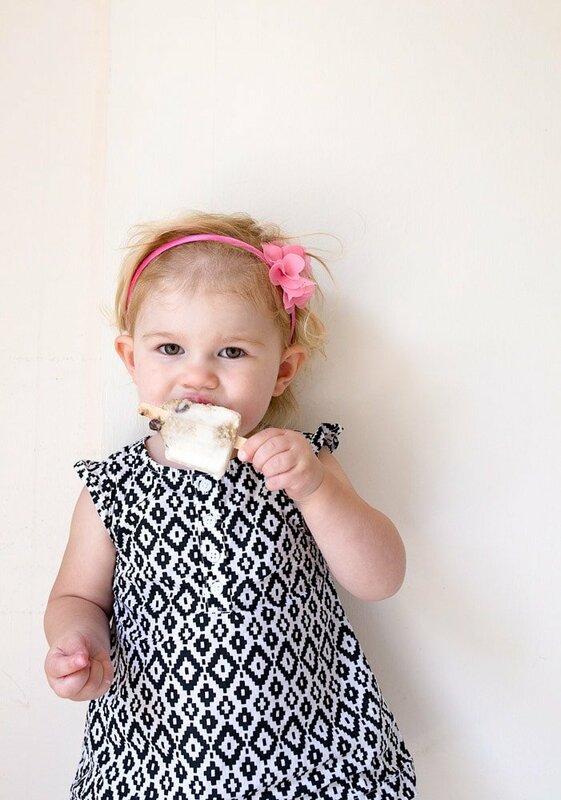 Milk and Cookies Popsicles are so fun! Have the cookies ready on the side. In a small bowl, whisk together the cream, milk, sugar, vanilla and salt. In the bottom of the each popsicle mold, place half of a cookie. Add milk mixture to each mold to come up half way. Place the another cookie half in the popsicle, and then top with the remaining milk. Place the lid on the popsicle mold, and then insert sticks. To remove, run warm water on the outside of the popsicle mold, and then gently pull out using the stick. hang in there friend…the reno will get done until then, hold on to these Popsicle. i have been on a Popsicle kick lately and these are absolutely calling my name. These look so yummy! They remind me of Mexican paletas and my favorite are the milk kind. Looks so yummy! My four-year-old daughter would love these cookies too! I wanna try making one for her. Is it easy to make? Please see my comment below ???? Julia – I made these the other day and 1) they are totally easy to make and 2) They were a hit with my two kids and my husband!!! I used some Girl Scout Trefoils because I didn’t have the chance to make cookies and wanted these ASAP…they were fantastic! My son asked for more so I am making another batch tonight! Where did you get these popsicle molds? I have looked at several different kinds but this one pops up more frequently. I want molds that do well. Hi Debbie! There’s a link within the post in paragraph 7. The word ‘THIS’ is a link to Amazon. Sorry for any confusion! I love all your recipes I just wish you would say if they could be doubled or not. hey girl- these look yummy! Camille is getting so big! so cute! 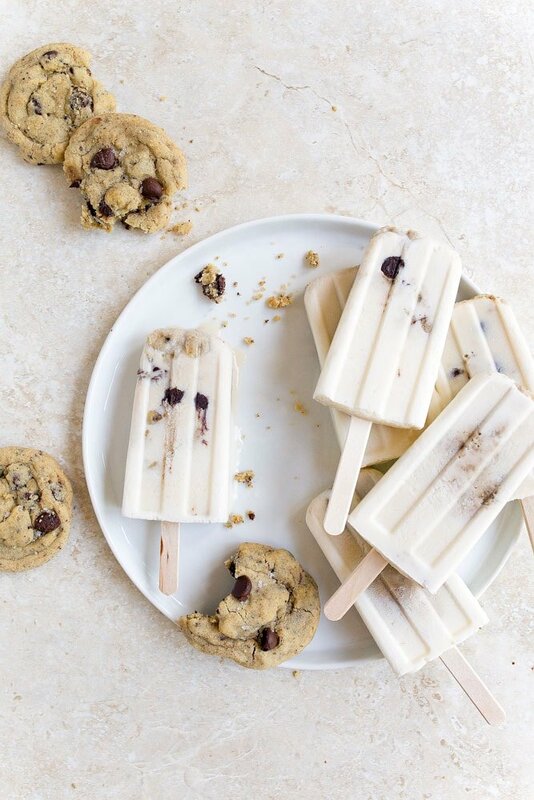 Putting cookies in a popsicle is GENIUS. I’m going to need to buy a popsicle mold just for these!